Oliver Solberg has drawn first blood in free practice as round two of 2018 RallyX Nordic kicked off in sweltering conditions in Arvika, Sweden. 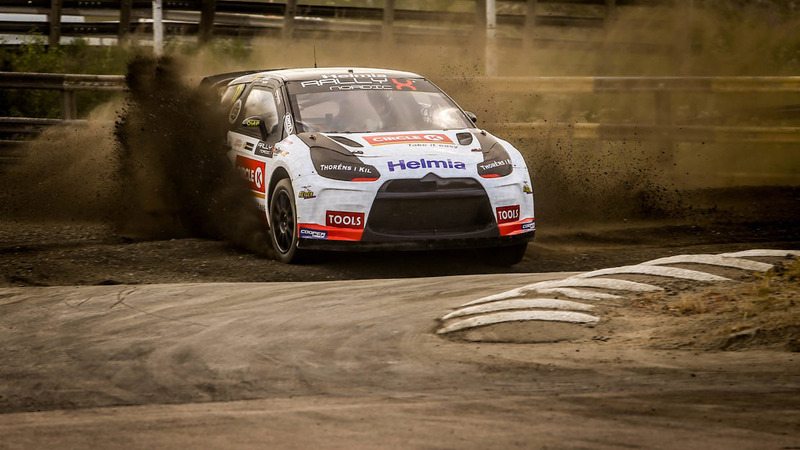 The Norwegian, who celebrated his first RallyX Nordic victory in Westombanan twelve months ago, set the quickest time of afternoon by topping FP1 with a 43.393secs lap in the OSRX Citroen DS3 despite almost shedding his rear bumper. In FP2, Peter Hedstrom – fresh from a top four finish in the European Rallycross Championship in Belgium – went quickest, albeit with 45.538secs in his Hedtroms Motorsport Volkswagen Polo as lap times slowed with the evolving track. 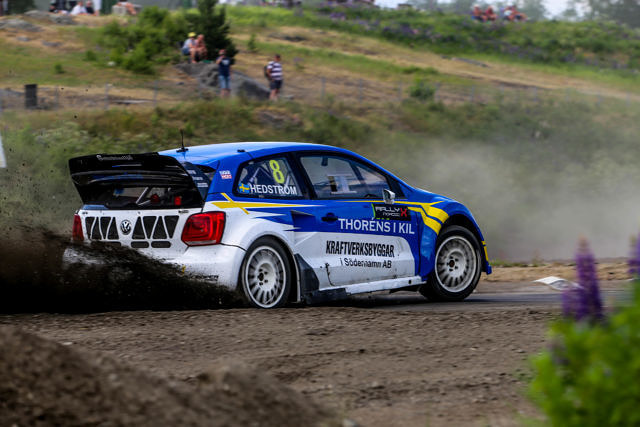 Behind Solberg in FP1, round one winner and championship leader Thomas Bryntesson was half a second down on his rival in second place, with Lukas Walfrdison, Andreas Carlsson and Crister Dalmans completing the top five. In FP2, Hedstrom was chased by Eklund Motorsport’s Philip Gehrman, Dalmans, Oliver Eriksson and Mats Ohman. In Supercar Lites, William Nilsson topped both practice sessions as he began the quest for his own repeat of victory from 2017 in fine form. Sondre Evjen, Vasiliy Gryazin and Guillaume de Ridder followed up second, third and fourth respectively.